Munin Monitoring Tool uses RRDTool and a frame work was written in Perl. Munin is an open source web based networking resource monitoring tool that can be used to monitor all computers on your network. It displays the gathered information from your system as graphs through a web based interface. In this article, we will help you to setup Munin network monitoring tool. Munin monitoring tool is available in EPEL repository. Use below command to as per your system. Munin requires web server like Apache or Nginx to see its statistics files. After installing Apache, start apache and enable service to start it at boot time. 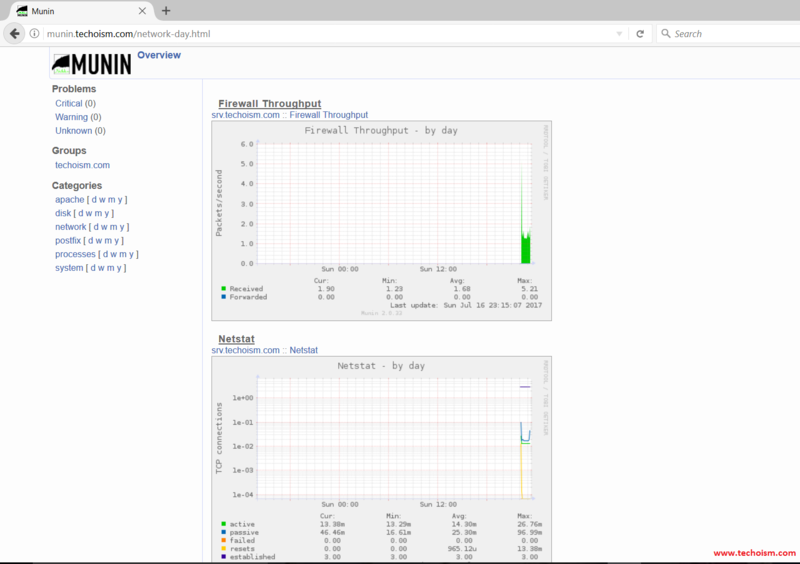 Munin is a web based Monitoring tool and installation of Munin is very simple. Run following command to install it. Munin installation creates following directories. /etc/munin/munin.conf: Munin master configuration file. /etc/httpd/conf.d/munin.conf: Munin Apache configuration file. /etc/munin/munin-node.conf: Munin Node master configuration file. /etc/munin/plugins.conf: Munin plugins configuration file. After installing munin now we need to configure munin using munin configuration file. Uncomment below lines from munin configuration file. Also set system name in configuration file. Now you need to protect your munin tool using password. Use below command to set the password. Now start the munin service. 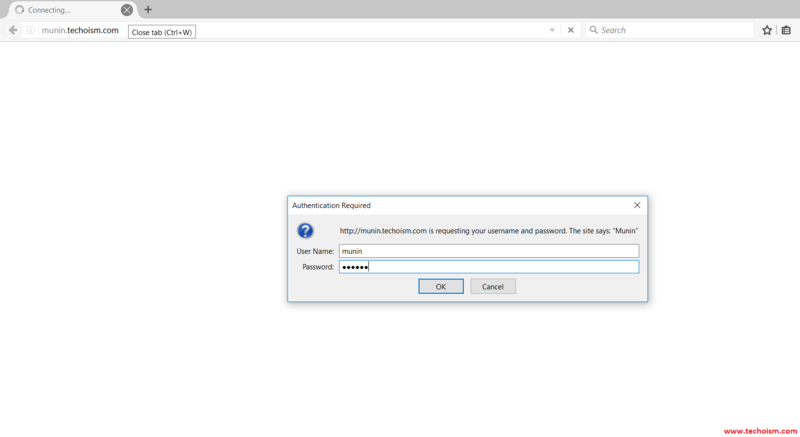 Creating the virtual host is optional. If you want to create the virtual host then only follow this step else skip the step and move to Step 7. Now you can access the munin web interface from your browser. Server statistics as a graph. We hope that you have successfully installed Munin Network Monitoring tool.